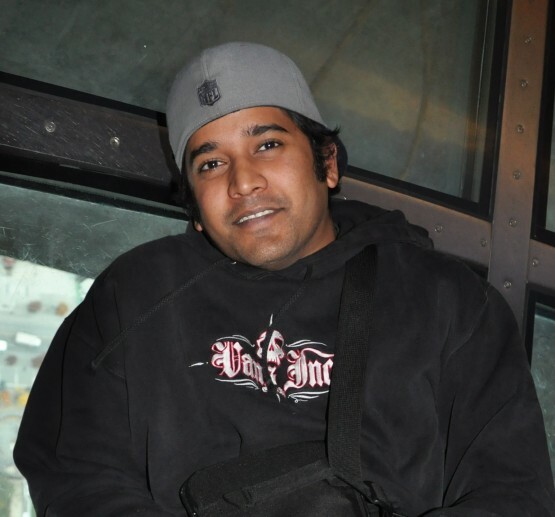 Arjun actually participated in our Rockies programme in 2005 as a recent graduate in the UK. After a 6 month stay he decided he did not want to leave the beautiful rocky mountains and has remained there ever since. He is now a Canadian Citizen, happily married with a son and works as Hotel General Manager for a hotel in downtown Banff. 1. How did you become an Oyster representative? After university a good friend of mine Mark, who was an Oyster participant in Whistler, told me about how good of an experience it was so I decided to give it a go and that was way back in 2005. After my season, I stayed on to get my residency, and subsequently, citizenship and Canadian Passport. I used to work for the same company as Jen, our previous rep, and when she decided to move on I spoke to Jon about taking on the role myself. Having been through the Oyster process and truly having a life-changing experience, I felt that I had a lot that I could offer our participants. My job starts well before our participants arrive. I work closely with Jon in the UK and receive CVs from him a good few months before the start of the season, giving me time to approach the employers and organise the work for our participants. Once jobs are set, I make sure that we have staff accommodation ready before arrival. On arrival, I meet the group at Calgary airport and help sort them out with everything they need to work in Canada such as bank accounts and SIN numbers. I’m also here to answer any and all questions about the area as well as passing on some tips for what to expect with working in Canada. During the season I am in regular contact with the employers to make sure our participants have the correct work ethic and that there are no problems or issues with their performance. Every month I meet with the group and take them for a meal, drink or on an activity. These tend to be well attended and one of my favourites is introducing participants to the sport of curling! 3. What are the highlights of being an Oyster representative? I love to meet the new groups and see the wonder in their eyes as they make Canada their new home. Our groups are full of dynamic individuals and learning from each other is a great. I feel I can give most help during those initial days in Canada. I remember what it is like moving to a new country and settling in to life. I remember the advice that I was given – some good, some bad – so that helps me to give the right advice to our current and future participants. 4.Why should people spend a season in the Rockies? Hospitality work in the Rockies gives applicants the experience of new meeting people from all around the world, all working together and living in one of the most picturesque places in the world. The activities are year round from snowboarding, skiing, snowmobiling in the winter to hiking, rafting and climbing in the summer. Whilst the jobs are generally ‘entry level’ they give people a great opportunity to build their independence, confidence and work experience. As a Canadian employer myself, I know that we have very high expectations when it comes to customer service. Being able to show a season spent working in Canada on your CV is no bad thing! This is a place where you can really ‘work hard and play hard’ whilst boosting your CV. 5. What changes do you see in the Oyster participants during their time in the Rockies? From personal and past experience the participants get more and more independent and comfortable in their surroundings through the season. This is often the first time that people have spent overseas and away from home. It is a big deal for them but quickly gain that independence and have a great time. By the end, they are confident and able to travel further afield to explore the province and surrounding areas. To find out more about our Rockies programme visit our webpage or contact Jon the destination manager on +44 (0) 1892 771972 or by email: [email protected]. Previous Post Easy as ABC &#8211; trek to Annapurna Base Camp with Oyster!